I run these with Tekin motors in my EB48 and SCT410. The picture really doesn't do this product justice as the teeth are sharp and aggressively beveled to allow for a precise mesh. 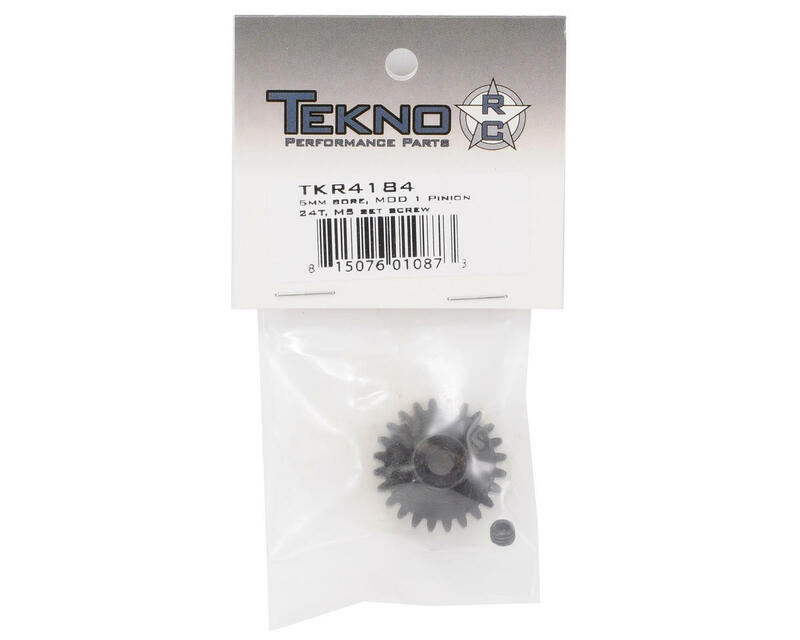 Get one of these and try it, you'll be switching out all of your mod 1 pinions to Tekno after using one--trust me. The Tekno pinions are absolutely awesome. They have a larger set screw so you can get them nice and tight and the steel is VERY hard. 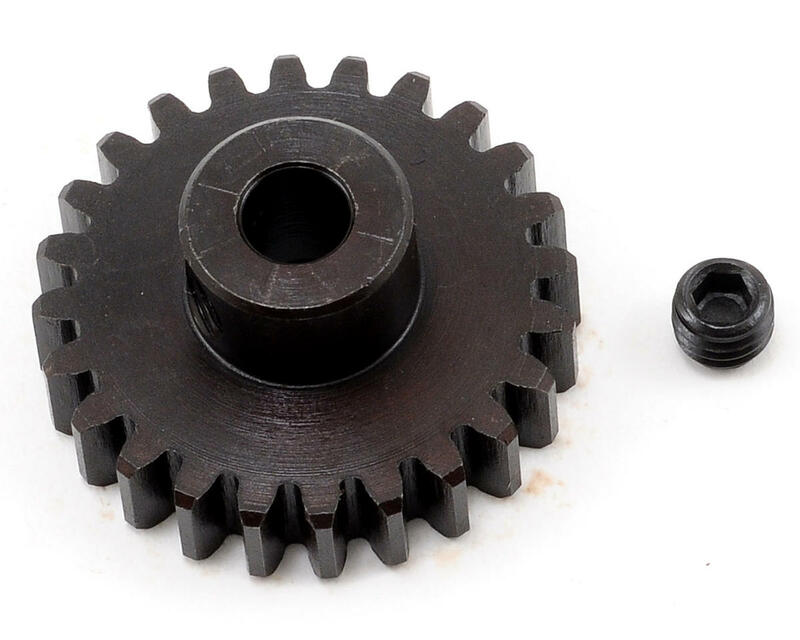 I ran one on my Serpent SRX8e that has a steel spur gear for over a year, and the pinion has minimal wear. Strongly recommended! Awesome Pinion gear and never stripped on me. I absolutely LOVE these Tekno pinions. They have larger grub screw than comparable pinions, which means you can be sure its tight, but also, you will be able to get it back off with out rounding out the screw like other pinions. (I had this happen on a novak pinion). Also built very well in that the gear mesh is very quiet when set properly. Thanks Tekno! I already ordered 3 more in different sizes!